Special Needs Super Moms – Page 11 – Just ordinary moms, with awesome kids! For eighteen years, I believed all of the experts…the doctors, teachers and therapists. I never once doubted them. I was told that Buddy was in his own little world, that he didn’t understand, that he never would. And that I shouldn’t waste my time on manners or explanations. That all of this was a waste of time and effort. So I talked AT Buddy, not to him. The mom in me never gave up on the manners part though, I am a stickler for manners. Then our lives changed. Three major pieces of the puzzle fit into place that year… I saw a movie on HBO about Temple Grandin. I had read a few of her books, so I knew her background, but seeing the movie and watching with her commentary was the first eye opener. I also met my cousin and his wife, they have a son a year older than Buddy, that also has autism. My cousin gave me the best advice…”play dumb”. Then I saw Carly Fleischmann on 20/20…that was it icing on the cake. I started thinking about what I thought were coincidences. Like the time he was about 4, he had a little train Christmas tree ornament. It made this cute little “choo choo” sound. Well, it WAS cute the first few dozen times. I got tired of hearing the annoying little train, so when Buddy wasn’t looking, I stuck it on top of the fridge. A day or two later, Buddy had found it and I had to give it back. The next time it annoyed me, I stuck it in a cabinet. Buddy discovered it there too. So the next time it drove me crazy, I thought “That’s it!” I waited until Buddy was in the living room and I took the train into my bedroom, closed the door, lifted the mattress corner, and tucked it a few inches between the mattress and box spring. I felt like a champion…I won the battle of the choo choo! Or so I thought. About a week later…guess who had the train?! I never thought about it, just thought he found it somehow. Fast forward back to the present…I realized that I TOLD everyone where it was. I spoke about it freely, assuming that Buddy either wouldn’t listen or understand. Never thinking that he not only heard me, but understood EXACTLY what I was saying. I am so grateful, for these 3 life changers. Autism is a box, and I was keeping Buddy inside. I am so glad that we opened the box and let my sweet boy out. It may just be my perception, but Buddy has grown more in these last 5 years than in the 18 prior. Things that I have learned, being a autism mom. 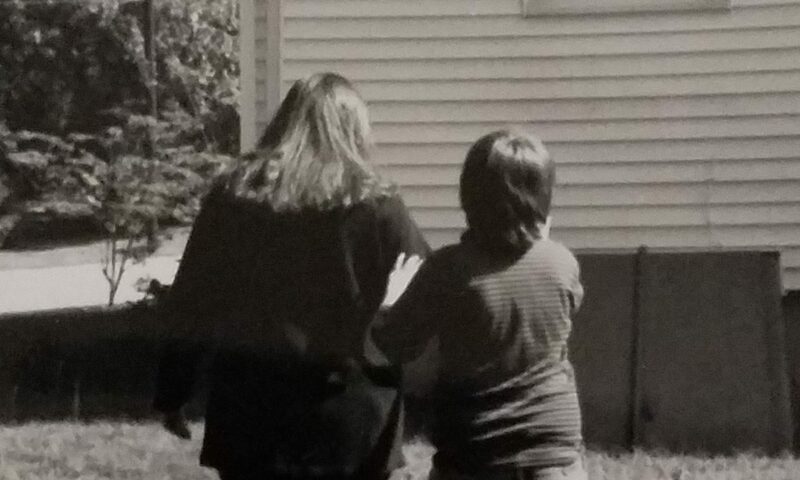 I have learned a lot in my nearly 24 years, at being an autism mom. I have learned that my son can find the correct button to work the DVD player in his room, to find the exact part of the video that he wants to watch. Even if it is a totally different player than he had the day before. I have learned that I cannot sneak a bowl of ice cream, to eat by myself…the unwritten rule is: all desserts on Mom’s plate must be shared equally with the boy, or you will be required to refill the empty plate until the boy has satisfactorily gotten his share. Cookies of all kinds must be accompanied by a cup of milk…in the dedicated “milk cup”. If Magic Shell is found in the pantry, (that mom has forgotten was there) ice cream will have to be also found, or added to the grocery list. Pasta must have grated cheese and bread to be eaten. If items are hidden, no one is allowed to mention the location of said item, if the boy is within 50 yards of the conversation. I have learned the power of counting to 3. I rarely get past the number 2, before I see him responding. Singing silly songs will make the boy smile, allowing for a tooth brush to enter his mouth for as long as the song lasts. And singing the Barney song, will get a kiss and a hug every time! Pretending that you are clueless gets him to figure out how to communicate his wants and needs. I have learned that the boy understands most everything we say to him, however, like most kids…he ignores me. I have learned that he thinks he is outsmarting me, especially when he does something he isn’t supposed to, while covering himself with a blanket…”The cloak of invisibility has no power here, Son”. I have learned that the boy understands, and if you want something, you have to ask nicely, by kissing your mother on the cheek to say “please”. And most of all, I have learned that you don’t have to have words to make someone feel loved. One hug from the boy, says “I love you, Momma” louder than 100 PA systems at a rock concert. Yesterday, I attended the funeral for a young man Buddy’s age. I didn’t know the boy, but I know his mom. As I sat there, pictures of his life scrolled on a screen. I saw him go from an infant to a grown man in 10 minutes time. As I watched this vibrant boy grow into a man, full of life and smiles, people were sharing about his love of surfing, fishing and hunting, as well as his joyful, loving demeanor. At first I was thinking about this young man being my son’s age and having such a full, active life. As I realized that I was feeling sorry for myself, I switched gears, and focused on this boys mother. What a horrible feeling it must be to be saying a final goodbye to your child. After the funeral, I was very sad for the rest of the day, trying not to think about how I would feel in this other mother’s situation. And then it occurred to me, Buddy will never surf, fish or hunt…but he will also never suffer from depression, suffer addictions, or commit suicide. I am the lucky one here…my son just has autism.